STANSBURY PARK, Utah – Be on time or pay a fine. 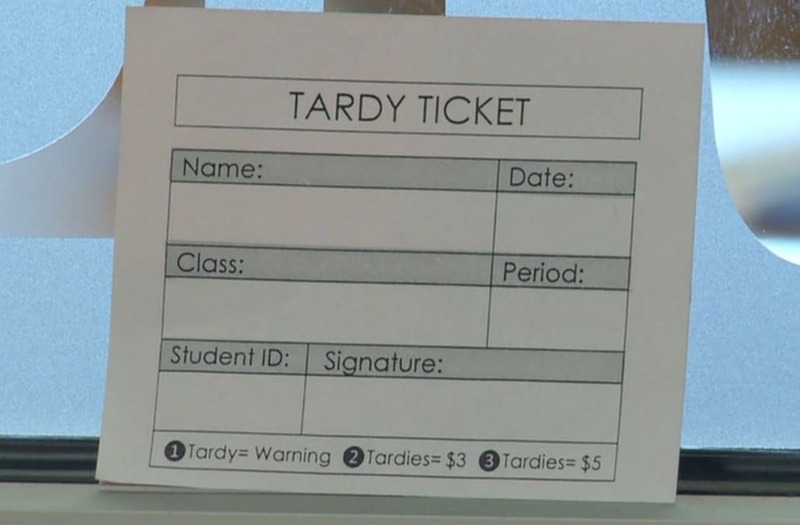 A new policy aimed at curbing tardiness at Stansbury High School isn’t sitting well with some parents. Administrators say the halls are a lot emptier during classes compared to last year. A Utah high school is requiring students to be on time, or else they’ll pay a fine. They credit a new policy requiring students to pay a fine if they’re chronically late. The first offense is a warning. If they’re caught a second time, they’ll have to pay a $3 fine, and after that, the fee goes up to $5. Only administrators will issue the tickets, not teachers. Cody Reutzel, assistant principal at Stansbury High School, explained the policy. “What we're really trying to target is those periods between classes where really it's a choice," Reutzel said. "It's a personal decision of whether you're going to walk from class A to class B and be on time." Principal Gailynn Warr says students are getting the message. “We just implemented it on Tuesday, and this week we've handed out just warnings, no fines at all," Warr said. Julie Rae’s son attends Stansbury High School. “We received an email from the school district that outlined the policy," Rae said. While she agrees the fines can teach students personal accountability and responsibility, she says administrators should have consulted with parents beforehand to get their input. “I think it's opening up a Pandora's Box," she said. "That's not going to fix the problem that they're facing." Brett Dennison, another parent, thinks the new policy is unfair. “I think the school board implemented this as part of a way to generate income, make a money grab out of the thing," Dennison said. If students can’t pay the fees, they can take lunch detention or show a clean tardy attendance for a few weeks. The money collected from the fines will go toward a school fund that will go directly back to students for incentives. “Our goal is not to get money," Warr said. "It would be great if I didn't get any money. We just want kids in class."